Sponsored by Representative John Frullo with co-sponsor Rep. Harold Dutton, HB 1935 would complete Knife Rights' efforts to bring knife freedom to Texas by removing entirely the definition of "illegal knife" in Section 46.01(6) of the Penal Code. This includes the prohibition on double edge blades, Bowie knives and the 5.5-inch carry limit. Rep. Frullo was honored with Knife Rights' Freedom's Edge Award for his role as sponsor of Knife Rights' Texas Knife Law Preemption Bill that was enacted into law in 2015. Rep. Dutton was honored with Knife Rights' Freedom's Edge Award for his role as sponsor of Knife Rights' Texas Switchblade Ban Repeal Bill that was enacted into law in 2013. 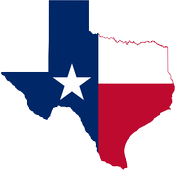 February 17, 2017: Knife Rights' Texas Knife Law Reform Bill, HB 1935, that would repeal the ban on all "illegal knives" in Texas statutes, has been introduced by Representative John Frullo. HB 1935 would complete Knife Rights' efforts to bring knife freedom to Texas by removing entirely the definition of "illegal knife" in Section 46.01(6) of the Penal Code. This includes the prohibition on double edge blades, Bowie knives and the 5.5-inch carry limit. Knife Rights' Texas Switchblade Ban Repeal Bill was enacted in 2013, sponsored by Rep. Harold Dutton. Knife Rights is rewriting knife law in America™. Knife Rights passed the nation's first repeal of a switchblade (automatic) knife ban in 2010 in New Hampshire and has since passed repeal of switchblade bans and repealed other knife restrictions in Alaska, Indiana, Kansas, Maine, Missouri, Nevada, Oklahoma, Tennessee, Texas, Washington and Wisconsin.